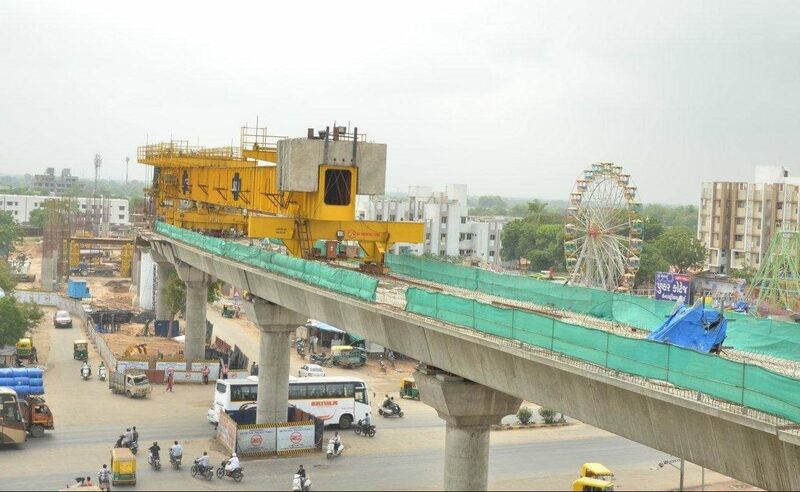 The Ahmedabad Metro is currently under construction. Photo: MEGA. Government transport agency Metro Link Express for Gandhinagar and Ahmedabad (MEGA) has awarded Siemens a contract to electrify the double track of Phase 1 of the Ahmedabad Metro. The deal covers the 18.5km North-South Corridor and the 20.7km East-West Corridor, which are currently under construction. Siemens will also provide a supervisory control and data acquisition system for monitoring and controlling the traction power as part of the contract which is worth more than €76 million. 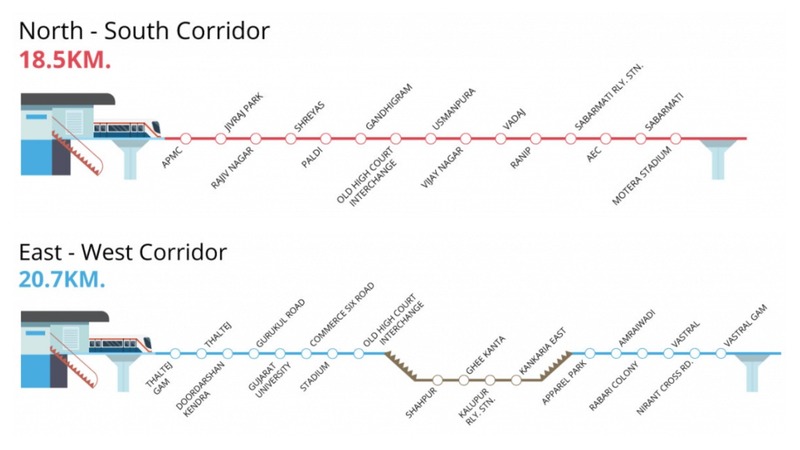 The North-South and East-West Corridors of the Ahmedabad Metro. Photo: MEGA. 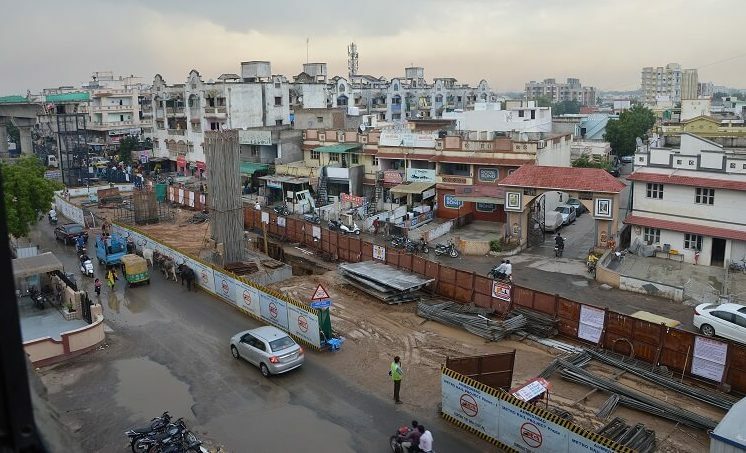 The majority of Phase 1 of the Ahmedabad Metro, which includes 32 stations, is elevated, but 6km will be underground. Ahmedabad one of the biggest cities in India. It is hoped the metro will play a pivotal role in encouraging economic growth in the city and the wider area. An aerial shot of Nirant Cross Road station, which will sit on the East-West Corridor of the Ahmedabad Metro. Photo: MEGA.